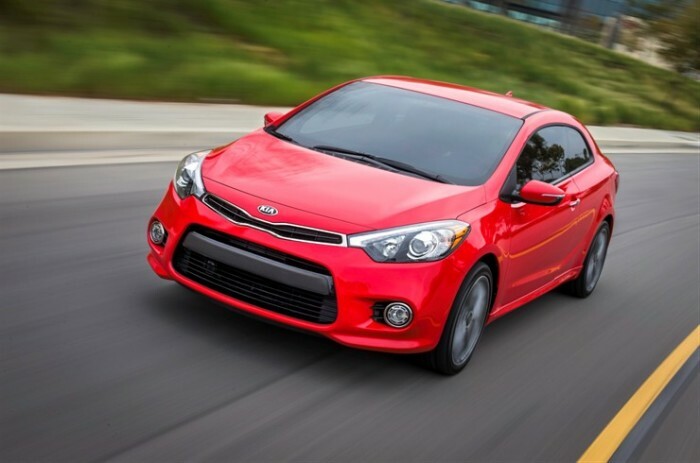 Kia has recently introduced the 2015 Kia Forte Koup, which is more sporty and fun to drive than ever before. The award-winning two-door coupe comes in two trim levels, the EX and SX, much like its sedan sibling. 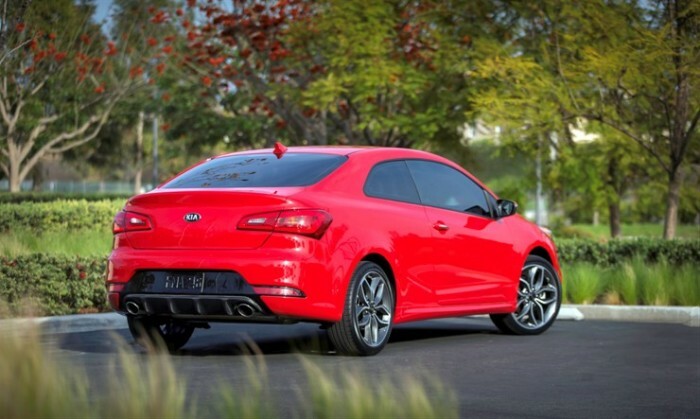 For 2015, the Forte Koup offers an array of technology and performance-enhancing features. The base EX comes standard with a 2.0-liter GDI four-cylinder engine, and the SX comes with a more powerful 1.6-liter turbocharged four-cylinder that produces 201 hp and 195 lb-ft of torque, impressive for a compact car. The base Forte Koup EX boasts an impressive list of standard features including 16-inch alloy wheels, Bluetooth®, SiriusXM™ Satellite Radio, a leather-wrapped steering wheel with integrated audio and cruise control buttons, tilt and telescoping steering column, FlexSteer®, power windows and LED positioning headlights with fog lights. If you’re looking for a little something extra, the Koup SX comes standard with 18-inch alloy wheels, UVO eServiceswith Rear Camera Display, dual chrome exhaust tips, and LED tail lights. The SX also features performance enhancements including larger bumper and grille openings, larger front brakes, alloy sport pedals, black gloss grille inserts, and the front fascia and rear valance also include carbon fiber-look trim. Both trims come with optional HID headlights, navigation system with HD Radio™, heated steering wheel, power lumbar, sunroof, heated front seats and ventilated driver’s seat, leather-trimmed seating, SmartKey with push-button start, and dual-zone automatic climate control. If you’re looking for a sporty coupe, decked out with today’s most advanced features, the Forte offers it all. Kia continues to lead the way in design and innovation, offering comfortable, high-performing cars at affordable prices.